According to a recent article in Green Technica by author Joshua S. Hill, green tech investment could “skyrocket” by 2030. Hill cites research from Bloomberg New Energy Finance, including a detailed analysis of three different potential scenarios. As their research shows, wind and solar could have the efficiency and popularity needed to bring the renewable energy industry into its own. Although clean energy ETFs have been underperforming in an era where fossil fuels have largely recovered from recession-era prices, each of the three scenarios explored by Bloomberg New Energy Finance shows an increase in green technology investing. A 230% increase in annual investment by 2030 would mean increasing to a total of $630 billion per year. Bloomberg New Energy Finance largely attributes this to the decreasing cost of wind and solar technologies, as compared to fossil fuel alternatives. The report also shows increased use of hydro power, geothermal and biomass. The three scenarios explored by Bloomberg New Energy Finance are “New Normal”, “Barrier Busting” and “Traditional Territory”. “New Normal” is cited as the most likely, and ends with a probable $630 billion per year in green tech investing. Each scenario calls for growth in the renewable energy sector, notably in solar and wind energy, along with decreases in fossil fuels. Even the modest “Traditional Territory” scenario shows green tech investment increasing to $470 billion by 2030. Guy Turner, the head of economics and commodities for Bloomberg New Energy Finance, says that renewable technologies will be the “anchor of new generating capacity additions” in all scenarios. He points out, “The main driver for future growth of the renewable sector over this timeframe is a shift from policy support to falling costs and natural demand.” Read the original article. When we last looked at solar energy in particular, we noted that 2013 is a slower year for installations due to an oversupply of solar panels. However, by bringing this technology to end-users more quickly and at lowered prices, we explored the idea that solar energy may be closer to being at parity with fossil fuel based energy. 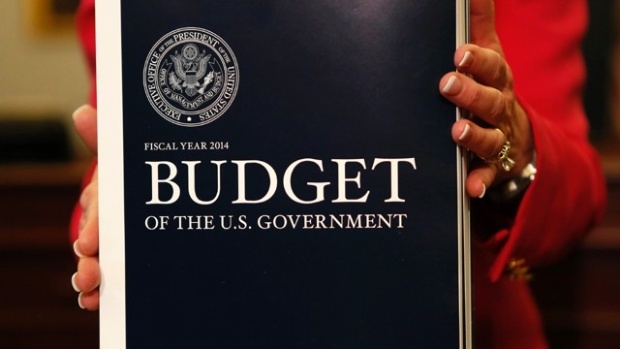 Also helping the situation is a budgeted increase in spending for the Department of Energy, including a 75 percent increase in spending on advanced vehicles to $575 million, and a 29 percent increase in spending on the ongoing effort to integrate solar and wind power into the national electric grid. The stock market finally “took a breather” on Monday of this week, as the Wall Street Journal characterized it. The resilient bull market of 2013 has seen only four sessions in May that had a decline in the Standard & Poor’s 500-stock index and Monday was one of them. This year’s bull market rally has recently been across the board–Asian markets have been up, European markets turned up, and market watchers are anxiously waiting for tomorrow, Wednesday, May 22, when Federal Reserve Chairman Ben Bernanke is scheduled to testify to Congress and the Fed releases the minutes from its last public policy-setting meeting. Will Bernanke offer up any clues about his next steps? Most importantly for Smallcap World, the Russell 2000 index, which tracks the performance of smallcap U.S. equities, climbed above the 1,000 level for the first time Monday, a metric that MarketWatch considers “psychologically important” for smallcap stocks. As of Monday morning, May 20, the Russell 2000 was up 17.9 percent for the year-to-date, according to FactSet (The Associated Press reported the Russell 2000 up 17.5 percent for the year). You don’t have to look far to find small cap stocks at 52-week highs, even “all time highs.” Of course the question always is, how much higher can these stocks go? Buy now or wait for the correction that so many experts have been predicting is right around the corner for months now? We’ve selected a few stocks we know are at all-time or 52-week highs, and others we’ve covered lately that seem to be on the upswing. Calabasas, CA-based National Technical Systems * (Nasdaq: NTSC, http://www.nts.com/) is a relatively unknown smallcap stock but also the world’s largest independent engineering services and testing company. It’s biggest markets include aerospace and defense, but also works in the automotive and telecommunications markets, among others. NTSC closed at an all-time high of $13.09, up 94 cents on May 21, with a market cap now of about $150 million. NTSC is lightly traded, only about 7,500 shares a day, although that is trending up. Northville, MI-based Gentherm * Incorporated (Nasdaq: THRM, http://www.gentherm.com/) is a global developer and marketer of thermal management technologies for a broad range of heating and cooling and temperature control technologies. Best known for its Climate Control Seat systems that actively heat and cool seats in more than 50 vehicles made by the world’s leading automobile manufacturers, Gentherm (formerly called Amerigon) has branched out into heated and cooled bedding systems, cupholders, storage bins and office chairs. THRM also reached a 52-week high of more than $18 this week, then closed May 20 at $17.78, down 33 cents for the day. Its market cap is now $594 million. As recently as last July THRM was trading at just above $10. We recently featured Cincinnati-based LSI Industries (Nasdaq: LYTS, http://www.lsi-industries.com/) , a company that offers a different take on an LED lighting company. LYTS creates LED video screens and LED specialty lighting for sports stadiums and arenas, digital billboards and entertainment companies. It closed April 29 at $7.09 with a market cap of $170 million. LYTS closed May 21 at $8, up 1 cent for the day, with a market cap now of $192 million. Analysts at CRT Capital recently upgraded Atlanta-based Beazer Homes USA (NYSE: BZH, http://www.beazer.com/), a company that builds and sells single-family and multiple-family homes in 16 states in the U.S., to a “Buy” with a $29 price target. BZH also acquires, improves and rents homes. The company operates through commissioned home sales counselors and independent brokers. As recently as last Sept. 14 BZH was trading for $3.77. It closed March 20 at $16.86 with a market cap of $410 million. BZH closed May 21 at $21.75, down 98 cents for the day. Its market cap is now $538 million. San Jose, CA-based SunPower Corp. (Nasdaq: SPWR, http://www.sunpowercorp.com/), like many solar stocks, have been on the upswing lately. SPWR closed May 8 at $15.36, down 6 cents for the day, with a market cap of $1.8 billion. It closed May 21 at $21, down $1.70 for the day but got up to $23.76 just last week. Its 52-week trading range is now $3.71-$23.76. Fremont, CA-based Procera Networks (Nasdaq: PKT, http://www.proceranetworks.com/) works with mobile and broadband network operators providing intelligent policy enforcement solutions for managing private networks. PKT’s products are sold under the PacketLogic brand name to more than 600 customers in North America, Europe and Asia. PKT’s 52-week trading range is $10.12-$25.99. At mid-day May 2 it was trading at $11.22, with a market cap of $229 million. At market close May 21 PKT was trading at $13.89, down 3 cents for the day, with a market cap of $282 million. * Denotes client of Allen & Caron Inc., publisher of this blog. Anyone watching the still slow but improving progress of the electric car industry may have seen the Bloomberg Businessweek story on the “Tale of Two Electric Car Makers: Tesla Soars, Fisker Flops” (http://www.businessweek.com/articles/2013-05-08/a-tale-of-two-electric-car-makers-tesla-soars-fisker-flops). Tesla Motors not only produced a profit in the first quarter, as advertized, but also increased its guidance on sales for the year, from 20,000 to 21,000 cars. TSLA revenues were up 83 percent year-over-year to $562 million and the stock is soaring (see below). While the article outlines supply chain and battery issues and other “kinks in its processes” Tesla needs to iron out, their stock is soaring and the outlook looks good. The contrast was provided by Anaheim, CA-based Fisker Automotive, which is laying off employees and hiring bankruptcy consultants, the article reports. Another electric car maker, Los Angeles-based CODA Automotive, recently filed for bankruptcy protection and announced it was “focusing its business strategy on the growing energy storage market,” according to a company filing. For more positive electric car news, the BBC posted an article this week on the Nissan Leaf (http://www.bbc.com/autos/story/20130509-leaf-charges-into-mid-life) as it “charges through mid-life.” The Leaf, billed as “the first truly global mass-produced electric vehicle,” now includes the Leaf S, a lower cost model “designed to lower the barrier of entry to EV ownership.” One of the cost cutting moves was to move its assembly line from Japan to another Nissan factory in Smyrna, TE. The BBC put the Leaf through its paces and managed to get 75 miles from a full charge, right about in line with Nissan estimates. Competitors mentioned in the article include the Toyota Prius PH-V and Ford C-Max Energi, both plug-in hybrids. If anyone out there is charged up about the electric vehicle market, and knows of a small cap stock play in this market, please let us know. Meanwhile, we’ve been following a few small caps, plus Tesla to see how their stock is moving. We’ve also added a new company, Car Charging Group, to our list. Palo Alto, CA-based Tesla Motors (Nasdaq: TSLA, http://www.teslamotors.com/) manufactures the Tesla Roadster, the Model S and other electric vehicles and electric powertrain components. It’s way too large for our small cap blog focus, but just as a reference, the last time we looked at Tesla last February 20 it was trading at $38.90 with a market cap of $4.4 billion. As we mentioned, TSLA stock has been on a huge roll. It closed May 15 at $84.84, up $1.60 for the day. Its 52-week trading range is now $25.52-$97.12. Santa Rosa, CA-based ZAP (OTC: ZAAP.OB, http://www.zapworld.com/) makes a variety of all-electric vehicles including trucks, motorcycles, shuttle buses and sedans and was formerly known as ZAPWORLD.COM. When we last checked on Feb. 20 its stock closed at $0.08 with a market cap of $24. ZAAP closed May 15 at $0.14, up 3 cents for the day, with a market cap of $42 million. Its 52-week trading range is $0.06-$0.27. San Diego-based Maxwell Technologies Inc. (Nasdaq: MXWL, http://www.maxwell.com/) was formerly known as Maxwell Laboratories. The company manufactures ultracapacitors that are energy storage devices and power delivery systems for use in transportation, automotive, IT and industrial electronics. MXWL closed back on Feb. 20 at $10.01 with a market cap of $292 million. It closed May 15 at $6.36, up 11 cents for the day, with a market cap of $185 million. Its 52-week trading range is now $4.90-$11.08. Miami Beach-based Car Charging Group (OTCQB: CCGI, http://www.carcharging.com/) caught our eye with the announcement March 12 that it was acquiring EVPass, a company building destination charging networks for EV charging. CCGI is also in the business of building charging station networks and has been busy making more acquisitions. Earlier this month, CCGI announced it had acquired 350Green LLC. CCGI closed May 15 at $1.34, up 4 cents for the day, with a market cap of $70.8 million. Its 52-week trading range is $0.60-$2. If you are a fan of electric and particularly hybrid vehicles, and more people apparently are every day, you have to like the spectacular news coming out of Ferrari and the recent report from Autodata Corp., a research firm. 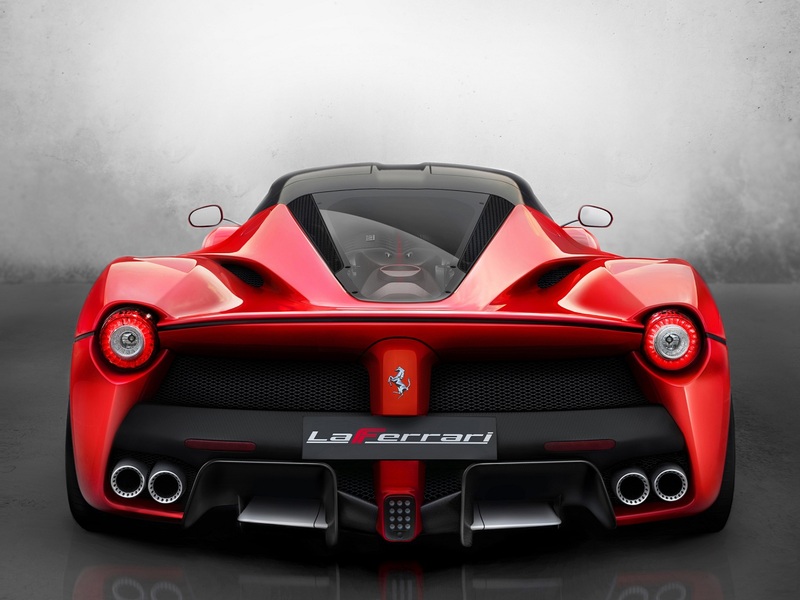 Let’s start with Ferrari, which unveiled its La Ferrari supercar in Geneva in March. Yes, Ferrari’s “biggest and baddest” car these days is a hybrid, according to the Los Angeles Times (http://www.latimes.com/business/autos/la-fi-hy-autos-hybrid-20130330,0,2070748.story). It’s a V-12, “949-horsepower, million-dollar monster” that also has two electric motors and recharges its batteries with regenerative braking and the engine’s excess torque. Who knows how many La Ferraris will actually sell, but the good news from Autodata is that hybrids are certainly selling faster than ever. Hybrid sales in the first two months of 2013 are up 32 percent over the same period last year, according to the Times report. While overall marketshare is still low, about 4 percent, the fact that Ferrari is now in the hybrid market underscores the fact that that hybrid technology “is being taken seriously by virtually all the automakers,” noted analysts in the Times, including Nissan which introduced a new hybrid version of the Pathfinder at the New York Auto Show in February after dropping out of the hybrid market a few years ago. Overall, hybrids deliver 40 percent better fuel economy than conventional gasoline-powered cousins of the same model. As we have noted earlier, the Prius is now the best-selling car in California, the nation’s largest auto market, and they’re apparently reliable. Not only are they now being used as taxicabs, which take a notorious beating, but the Times story notes that Toyota reports that 90 percent of all Prius cars it sold since introducing the model are still on the road. The story includes a note that one large Houston Ford dealership reports that its sales of hybrids are up 400 percent from a year ago. Nationally, Ford reports it’s selling 3,000-4,000 of its C-Max hatchback hybrid, a direct competitor to the Prius V station wagon, according to the Times. While Toyota’s hold on the hybrid market has dropped from 73 percent to 63 percent, thanks to competitors like Ford, the overall market size is much bigger, meaning “both automakers are sharing a bigger pie,” noted the Times. Unfortunately, hybrid vehicles are difficult to link directly to small cap stocks. So we’ve taken some liberties and included companies like Tesla Motors, which makes electric vehicles and is a mid-cap, and Axion Power International, which makes a battery used in a hybrid 18-wheeler made by a private company called ePower. Palo Alto, CA-based Tesla Motors (Nasdaq: TSLA, http://www.teslamotors.com/) manufactures the Tesla Roadster, the Model S and other electric vehicles and electric powertrain components. The last time we looked at Tesla last on Feb. 20 it closed at $38.90 with a market cap of $4.4 billion. But it came out with promising news this week, saying car sales nearly doubled in the first quarter of 2013 compared to the fourth quarter, and expects to turn a profit. TSLA closed April 2 at $44.34, up 41 cents, with a market cap of $5.1 billion. Its 52-week range is now $25.52-$46.68. New Castle, PA-based Axion Power International (OTC: AXPW, http://www.axionpower.com/) has developed a specialty PbC battery technology designed for micro- and mild-hybrids, as well as an advanced energy storage device. A private Pennsylvania-based company, ePower, is developing 18-wheeler hybrid trucks with the Axion PbC batteries. Axion closed April 2 at 26 cents, down 1 cent for othe day, with a market cap of $30 million. Its 52-week trading range is $0.20-$0.47. Santa Rosa, CA-based ZAP (OTC: ZAAP.OB, http://www.zapworld.com/) makes a variety of all-electric vehicles including trucks, motorcycles, shuttle buses and sedans and was formerly known as ZAPWORLD.COM. Most of its business at this point is with government or military customers. When we last checked on Feb. 20 its stock closed at $0.08 with a market cap of $24 million. It closed April 2 at $0.17, up 2 cents on the day with a market cap of $51 million. Its 52-week trading range is $0.06-$0.27. San Diego-based Maxwell Technologies Inc. (Nasdaq: MXWL, http://www.maxwell.com/) was formerly known as Maxwell Laboratories. The company manufactures ultracapacitors that are energy storage devices and power delivery systems for use in transportation, automotive, IT and industrial electronics. MXWL closed Feb. 20 at $10.01 with a market cap of $292 million. It closed April 2 at $4.98, down 17 cents for the day, with a market cap of $145 million. Its 52-week trading range is $4.92-$18.33.